Intrepid hero Cork O’Connor faces the most harrowing mission of his life when a charter plane carrying his wife, Jo, goes missing in a snowstorm over the Wyoming Rockies. Months after the tragedy, two women show up on Cork’s doorstep with evidence that the pilot of Jo’s plane was not the man he claimed to be. It may not be definitive proof, but it’s a ray of light in the darkness. Agreeing to investigate, Cork travels to Wyoming, where he battles the interference of local law enforcement who may be on the take, the open hostility of the Northern Arapaho, who have much to lose if the truth is known, and the continuing attempts on his life by assassins who shadow his every move. At the center of all the danger and deception lies the possibility that Jo’s disappearance was not the end of her, that somewhere along the labyrinthine path of his search, maybe even in the broad shadow of Heaven’s Keep itself, Cork will find her alive and waiting for him. After Stevie took off for school that morning, Cork O’Connor left the house. He headed to the sheriff’s department on Oak Street, parked in the visitors’ area, and went inside. Jim Pendergast was on the contact desk, and he buzzed Cork through the security door. Cork crossed the common area and approached the office that not many years before had been his. The door was open. Sheriff Marsha Dross sat at her desk. The sky outside her windows was oddly blue for November, and sunlight poured through the panes with a cheery energy. He knocked on the doorframe. Dross looked up from the documents in front of her and smiled. “Mind if I hang it?” Cork asked, shedding his leather jacket. Dross had an antique coat tree beside the door, one of the many nice touches she’d brought to the place. A few plants, well tended. Photos on the walls, gorgeous North Country shots she’d taken herself and had framed. She’d had the office painted a soft desert tan, a color Cork would never have chosen, but it worked. Cork had hired her years ago when he was sheriff, and she’d become the first woman ever to wear the uniform of the Tamarack County Sheriff’s Department. She’d proven to be a good law officer, and when the opportunity had come her way, she’d put her hat in the ring, run for sheriff, and won easily. In Cork’s estimation, she’d filled that office well. She was in her late thirties, with red-brown hair, which she wore short, no makeup. “The lawsuit’s draining me,” he admitted. They shook hands without another word. Cork headed out, passed the contact desk, where Pendergast gave him a thumbs-up. 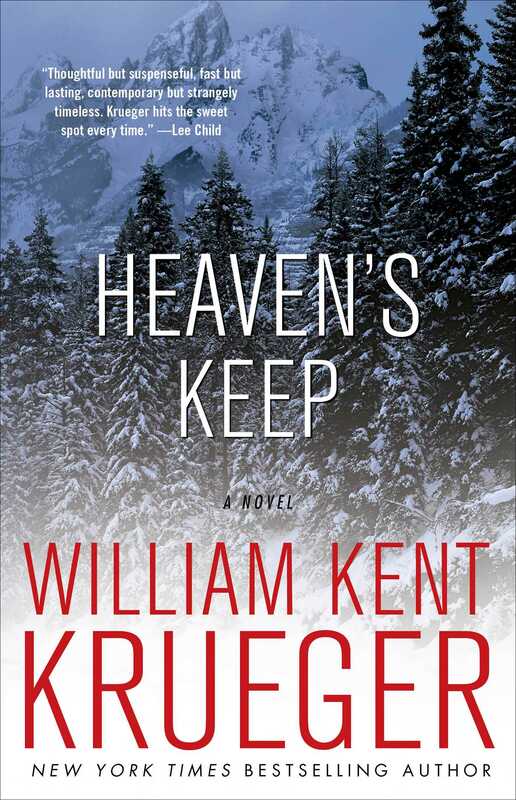 This reading group guide for Heaven's Keep includes an introduction, discussion questions, and a Q&A with author William Kent Krueger. The suggested questions are intended to help your reading group find new and interesting angles and topics for your discussion. We hope that these ideas will enrich your conversation and increase your enjoyment of the book. Retired sheriff Cork O’Connor has been through harrowing experiences in his days, but nothing that compares with what he faces in Heaven’s Keep. 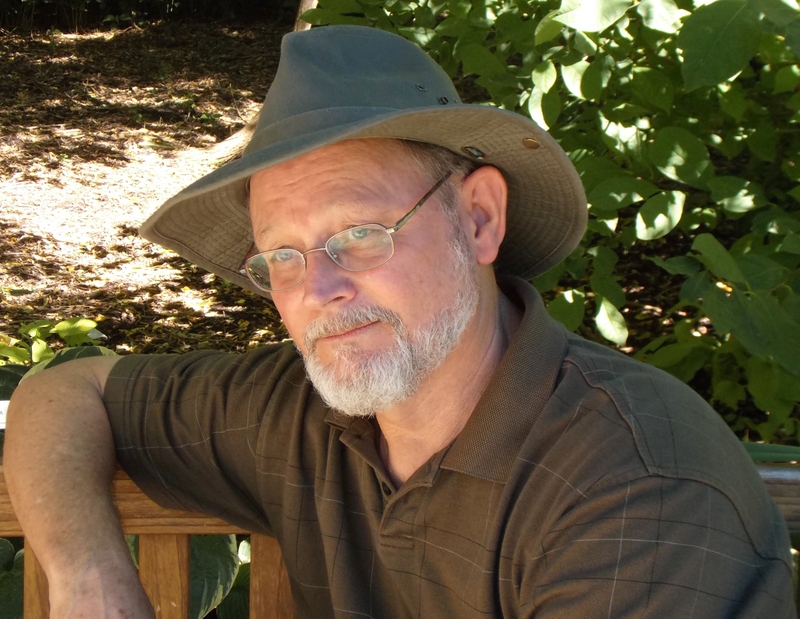 Author William Kent Krueger’s intrepid hero gets struck with tragedy when he learns that a charter plane carrying O’Connor’s wife, Jo, went down somewhere over the Wyoming Rockies. Despite Cork and his son Stephen’s valiant efforts to search for her, they come up empty-handed. They resign themselves to the fact that Jo is no longer with them and that they have to move on. Six months later, just as Cork is pulling his life back together, two women approach him with evidence that the pilot of Jo’s plane was not who he claimed to be. As Cork begins to investigate, he quickly finds himself and his new partner, Hugh Parmer, in harm’s way. Refusing to give up, he travels to Wyoming, where he meets with resistance from local law enforcement and the Northern Arapaho, both of whom seem to have a lot to lose if Jo turns up. Buoyed by the hope that Jo may not be dead, Cork races to uncover the truth that lies in the shadow of Heaven’s Keep, a truth that will either lead him to his missing wife or a waiting grave. 1. Despite Cork’s detailed recounting, the reader never really learns what actually happened when Jo’s plane went down. Does the fact that we are not “present” when the plane goes down hurt the authenticity of the event? Could Cork’s view be skewed? 2. Why do you think Cork applies to be the new deputy? Why does Sheriff Dross have her doubts about Cork, despite his being the most popular candidate? How does Cork defend himself? Do you think he really wants to return to the life of a sheriff? 3. In the beginning of the novel Cork proclaims, “Wherever you are, I’ll find you, Jo. And I swear to God, I’ll bring you home” (p. 62). Does Cork make good on his promise? How so? 4. Cork draws strength from both his Catholic family and his Native American (Ojibwe) family. What does each contribute? How do they complement each other? 5. What is Jon Rude’s explanation as to how Heaven’s Keep got its name? How does his interpretation vary from that of the Arapaho’s? What does Honoocooniinit mean to the Arapaho people? 6. Discuss Hugh Parmer. Is he really as generous as he seems? How does Cork come to trust him? What reasoning does he give as to why he wants to help Cork? Is he as genuine as he appears to be? 7. The first meeting of Becca Bodine and Cork is filled with tension, blame, and disregard. Who did you agree with at first—Becca or Cork? What does Cork first notice from the surveillance tape that makes him agree with Liz Burns and Becca Bodine’s theory? What is the impact of having Becca and Liz Burns not appear until sixth months after Cork gave up his search? 8. Why does Cork decide not to take Stephen on his second trip to Wyoming? Did you agree with this decision? Why was it important for Stephen to go on the vision quest? Moreover, why was it important for Cork? 9. When asked by Liz Burns if he still believes Jo is alive, Cork comments, “It wouldn’t make sense. . . . And it would hurt too much” (p. 207). Does Cork let himself believe it? What events support the theory that she might be alive? How does he react when he finds out where she is? 10. Hugh Parmer remarks that you do certain things in life because “it feels important and . . . you care about the outcome” (p. 174). Discuss this statement in the context of Ellyn Grant’s struggle between her love for Lame Deer Nightwind and her love for the Arapaho. Which did she sacrifice even though it was important to her? Why? What chain of events did her decision set in motion? 11. Discuss the events at the end of Heaven’s Keep. How is Cork different from the man he was at the start of the book? What lessons has he learned? How do you think the events of Heaven’s Keep will impact the lives of Cork, Stephen, Hugh, and the others? Q. Heaven’s Keep is your ninth Cork O’ Connor novel. What makes you keep bringing Cork back? Have you ever thought of focusing on a new character? How has Cork grown over the course of the novels? What impact will the events in Heaven’s Keep have on him? How has your writing changed? A. With each book I write in the series, I get to know Cork a little better and continue to discover elements of his character that are new to me. I find him an interesting person, marvelously flawed but always holding tightly to the values that have defined him, which is essentially what makes him a humanly heroic figure. With each book, I try to augment the normal cast of characters in Aurora with new complex characters whose relationships to the story and to Cork add a unique dimension to that particular entry in the series. At the same time, I usually feature a member of Cork’s family in a very important and personal adjunct storyline, so I don’t worry about focusing on new characters, introducing and building them in order to have them become a part of the series eventually, because they probably will not. What’s been interesting for me and, I hope, for readers has been watching the development of Cork and the O’Connor family across the nine books in the series. In Iron Lake, Cork was introduced as a fairly morose, often cynical, and nearly failed man in his early forties. He’s more than fifty now and his children are growing or grown, and with Heaven’s Keep he’s become a widower. Despite all his tribulations, his outlook on life has become more optimistic, more spiritual, and more forgiving. I’m very interested in discovering what kind of man he’ll grow into in his old age. As for my writing, mostly I hope it’s improved. Q. All of your novels with Cork have taken place in the northern part of the United States. What keeps bringing you back to this locale? Are you a native of Minnesota? Is there a “Sam’s Place” where you are from? A. Sam’s Place, like most of the landmarks in my fictional Aurora, is inspired by reality. For a couple of summers in high school, I delivered food supplies to grocery stores and small hamburger joints in rural Oregon, so I came to know and love establishments that are, in their essentials, just like Sam’s Place. And because I spent many years growing up in small towns in America—in Ohio and Oregon and California—I enjoy tapping my own recollections and emotions about this kind of environment. I love the upper Midwest—Minnesota especially—because it delivers everything I appreciate in a landscape: four distinct seasons (oh, fall is gorgeous); a remarkably varied and stunningly beautiful geography; fine people with solid values; and some of the best swimming lakes on earth. Q. Cork’s Ojibwe heritage plays a significant part in all of your works. Why have you found it so important to have Ojibwe heritage and culture as a constant presence in your works? Do you have some Ojibwe blood running through your veins? Have you even been on a vision quest? A. The first book in a series dictates so much of what will follow in subsequent stories. When I conceived Cork O’Connor as part Ojibwe (Anishinaabe) and subsequently introduced a good deal of information about the Anishinaabe culture in the work, I set up an expectation on the part of my readership. Readers anticipate that a significant element of every story will be additional exposure to the ways of the Ojibwe. The truth is that I enjoy this aspect of the work. Although I have no Indian blood running through my veins, in college I prepared to be a cultural anthropologist, so exploring other cultures is exciting to me. As for a vision quest, I have never participated in the Ojibwe version of this particular very personal and spiritual journey, but I continue to look on my writing as a kind of vision quest. Q. You made the decision to kill off a major character in this book. Did you struggle to make the decision? Was there ever a draft where the character did not die? A. When I conceived the story, I thought it would have a different ending, an ending with the question of what really became of Jo O’Connor unanswered. I thought it would be interesting to have her fate remain in doubt going forward in the series. But I decided that would be too unsatisfying for readers. So I wrote the initial draft with Cork’s wife miraculously surviving her ordeal, though greatly damaged. I didn’t like this ending and I felt the story itself resisting it. So I rewrote the final chapters as they now stand, and although I knew that it would be a heartbreaking ending and I would probably get a lot of response from unhappy readers, I believed—and still do—that it was absolutely the right thing to do. Q. You touch on a number of issues sensitive to the Native American population in this book: land harvesting, casinos, poverty, survival, etc. Do you ever receive any backlash from the Native American community? Do your opinions make it into the book or do you try to remain neutral for the most part? A. I think that whether we acknowledge it or not, our opinions as authors always influence our work. How can they not? My belief is that my opinions are well informed, and so my hope is that the way in which they influence the story will be acceptable to the Indian communities and cultures I deal with. The response to my work that I’ve received from the Ojibwe community has been without exception positive. That doesn’t mean that all the Anishinaabeg agree with how I portray their culture and their community, only those who take the time to contact me. Honestly, I’m painfully aware that I’m a white guy writing about a culture not my own, and although I try my best to get it right, I don’t for one moment believe that I’m a hundred percent successful. Q. Cork finds a helpful and affable partner in Hugh Parmer. Who, if anyone, is Hugh based upon? Will we be seeing him again? A. Hugh Parmer is a real guy in many respects. A while back I was asked to donate a character name for an auction to benefit the American Refugee Committee. That fine organization was, at that time, headed by a man named Hugh Parmer, and it was Hugh who won the bidding for the character name. Whenever I use an auctioned name, I try to incorporate as much of the actual person as possible in the creation of the fictional character. So, much of the fictional Hugh Parmer is informed by the admirable qualities of the real Hugh Parmer—except the vast wealth. I don’t know any real billionaires. And as for seeing him again in a story, I don’t have any immediate plans for Hugh’s return, but I intend to continue the series for a good long while, so who knows? Q. What type of research did you have to do for this book? Is Heaven’s Keep a real place? A. Much of Heaven’s Keep takes place in Wyoming, which is the state of my birth. I’ve spent a good deal of time throughout my life visiting friends and relatives who still live there, but going back for the express purpose of researching locations for the book helped me see the landscape in a different, more appreciative way. I asked questions I’d never asked before and went out of my way to see places up close that I’d only glimpsed from a distance. I loved every minute of the research for this book. And in all that researching and all that asking and all that looking, I did, indeed, find a real land formation upon which I based the fictional Heaven’s Keep. But for a variety of reasons, I keep that location to myself. Q. Throughout the course of your novels, Cork has been both a sheriff and a PI. Besides being a writer, what have been some of your previous occupations? Did you ever consider a career in law enforcement? A. In the past, I have, among other things, logged timber, worked construction, mopped hospital floors, shuffled office paper, and collected baby spit. I never considered a career in law enforcement. I have always believed that I don’t have the right temperament. Recently, however, as a result of so many of the good people I’ve come to know who are officers of the law, I’ve decided it would have been a fine career choice. There are moments when I’d give my right arm for the kind of experience, skills, and knowledge these folks possess. And I so admire the women and men in law enforcement for their commitment to the difficult, and often thankless jobs they do. Q. Since you are now a veteran writer, what advice would you give to a budding writer? Are you ever plagued by writer’s block? If so, how do you combat it? A. My advice? Write, write, write. And try not to despair. Write because you love the work, not because of what might come from it. The journey is the purpose. Very Zen-like, I know, but honest to god it’s the truth. And I have never had to deal with writer’s block. Knock on wood. Q. What’s next for you? For Cork? A. I’ve finished the next book in the series, a novel titled Vermilion Drift. I’m excited because I’ve been able to incorporate as an element of the story the rich culture and history of iron mining on Minnesota’s famous Iron Range. The tale also deals significantly with frightening secrets from Cork’s childhood, so I’ve been able to explore more deeply than ever before his relationship with his father and mother. It’s been fascinating for me, and I think readers will have a great time with the story.